7 1/4 inch Gauge 0-4-0 Romulus "Marchlyn"
This loco is an interesting variation on the well known 'Romulus' design. Traditionally fitted with a 'well tank' for water below the boiler, this loco has side tanks. 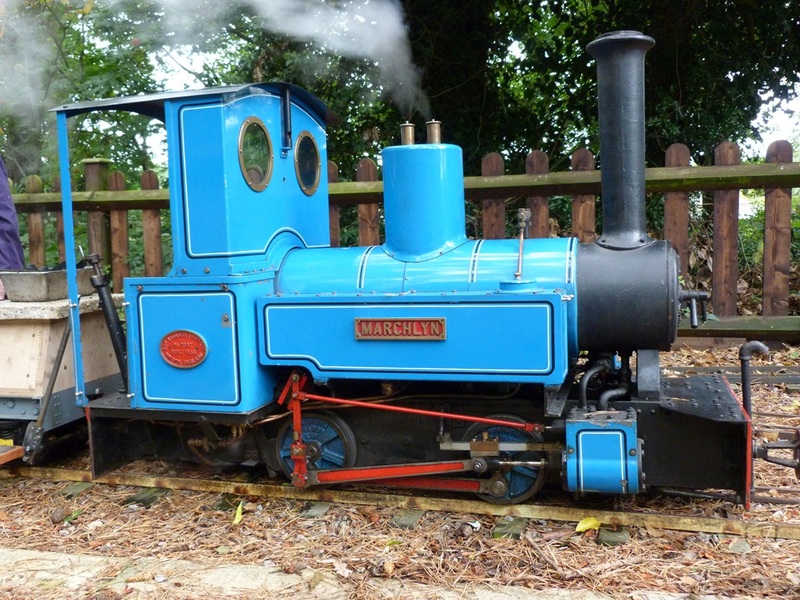 It is a powerful loco and its light blue colour is popular with our younger passengers.